Every week, Doubting Believer brings you things to watch, listen to or read that are sure to make you smile. Because we all could use a little good news. Physics professor Paul shared his “brain freeze” professional snafu, and gave all of Twitter permission to share their own embarrassing slips and omissions. Funniest confessional thread ever. 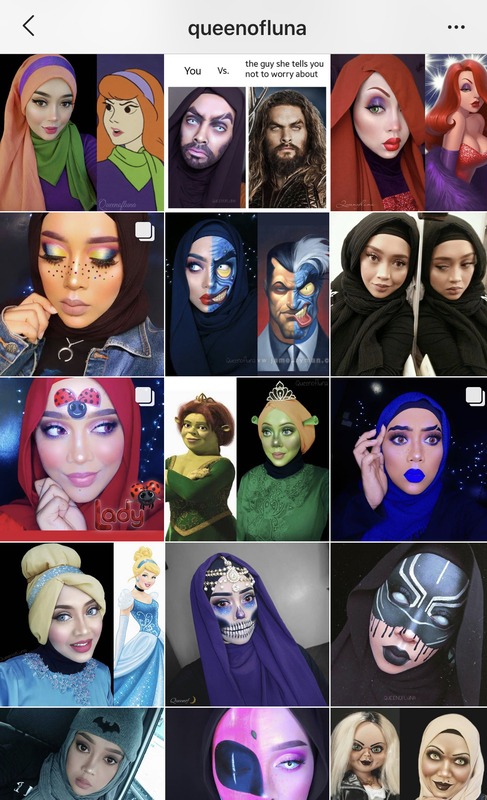 If you’re not following the Queen of Luna on Instagram, you are missing the most brilliant and fun makeup artist ever to don a hijab. The way she melds her faith and her art is fantastic. Rejoice fans of The Force! France has declare that lightsaber dueling is an actual sport–and not just grown men playing with kid’s toys. BTW, if you want your own custom lightsaber, my friend Tom will make you one. And if that news doesn’t bring about enough nerd joy, here’s a story about a woman who lives with 90 rescue animals named after Lord of the Rings characters. Teachers have been taking lots of hits these days. I am so appreciative of the work they do. Here’s a great teacher story for the week. Have a good weekend. Spend time with people in person. Talk to God. Rest and renew.